After an intense 3,000 mile battle across the Atlantic from Marina Lanzarote to Camper & Nicholsons Port Louis Marina, Giovanni Soldini’s Maserati Multi 70 has taken Multihull Line Honours in the 2018 RORC Transatlantic Race in an elapsed time of 6 days, 18 hours, 54 minutes and 34 seconds. The team completed the 5th edition of the RORC Transatlantic Race at 06:54:34 UTC on Saturday 1st December. Peter Cunningham’s MOD70 PowerPlay, skippered by Ned Collier Wakefield was less than 46 minutes behind Maserati, finishing at 07:40:12 UTC after seven days of a fascinating duel and taking first place in the MOCRA Class. Whilst no quarter was given on the race course, the two crews celebrated together on the dock ; such is the strong accord between the two rivals after a memorable experience. 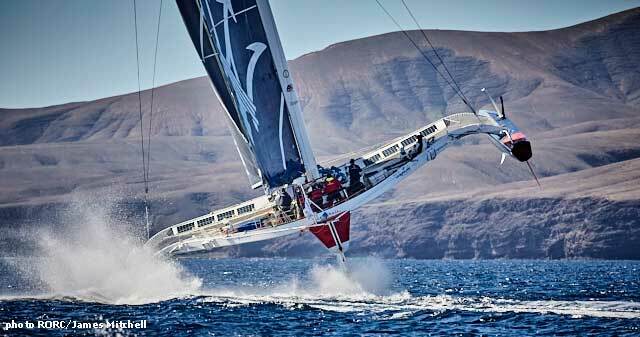 "We are happy as it was a very, very nice race," commented Maserati Multi 70’s Giovanni Soldini dockside in Grenada. 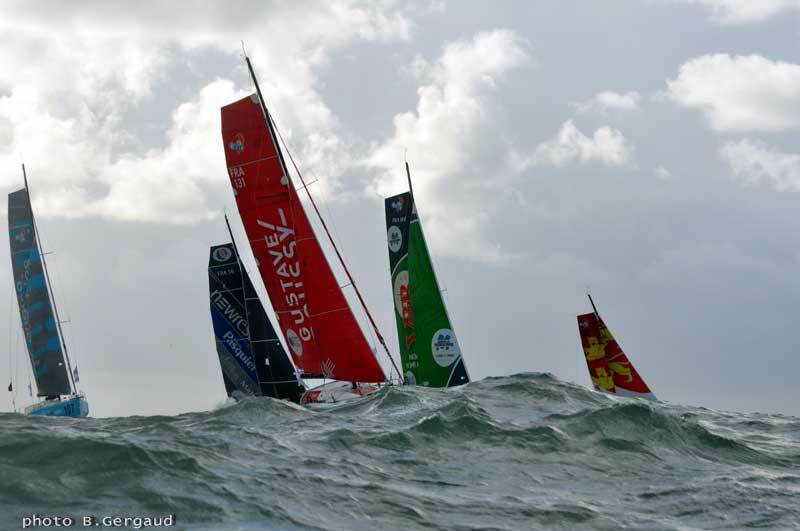 "It was very tight and just fantastic to be with PowerPlay in the ocean for so many days ; and so close together. It was really exciting for us. We learnt a lot about our boat and also from PowerPlay. In the beginning, they were racing much deeper than us. We studied their strategy and it was really interesting. We shall look forward to the RORC Caribbean 600 in February as there will be three of us competing against each, and that will be just fantastic." "The beer tastes really good in Grenada," continued Soldini after the team were welcomed on the dock at Port Louis Marina after completing the 5th edition of the race which started from Marina Lanzarote on Saturday 24th November. Maserati Multi 70’s crew was made up of seven professional sailors aboard the Italian trimaran ; alongside skipper Giovanni Soldini, the Italian Guido Broggi (mainsail trimmer), Nico Malingri and Matteo Soldini (both grinder and trimmer) ; the Spanish Carlos Hernandez Robayna (trimmer) and Oliver Herrera Perez (bowman) ; the French François Robert (pitman). "That was pretty amazing. After the first night I thought, seven more days of this is going to be really rough, but it just got better and better," enthused PowerPlay’s Peter Cunningham. "We had good speed and the weather was great, although a few squalls came in. It is such a great crew and with Eddie (Warden Owen, RORC CEO) joining us with all his stories, we were laughing all through the race. 500 miles out we were once again side by side with Maserati ; it was incredible to go all the way across like that."